Who knew it would take me 14 crocheted flowers before I found one I liked? I won’t tell you how long it took me to decide on the arrangement of them either! But I’m pleased that I fluffed about with them so long as I think the finished blanket looks quite sweet… and it could have easily gone the other way. There’s just the one bunch of flowers on this blanket in the corner. 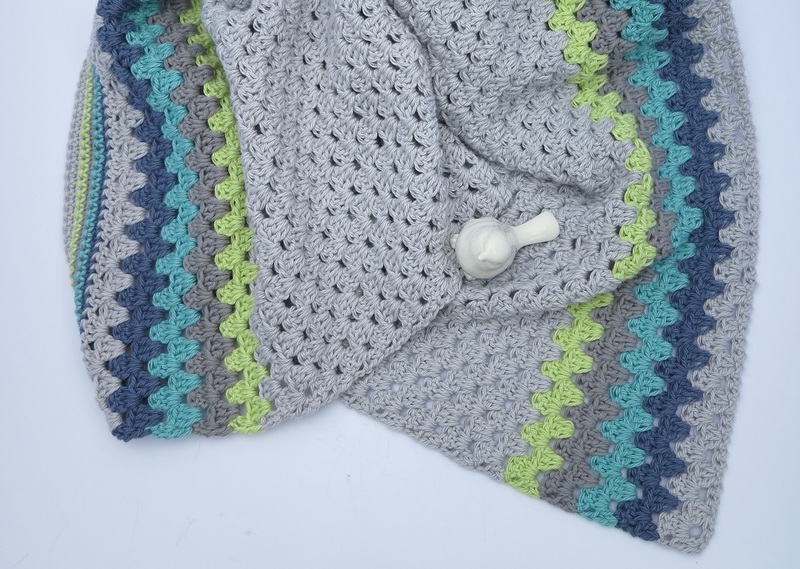 The body of the blanket is blanket stitch and I took the edge out with a couple of rows of a lacey type chain stitch then a few rows of single crochet, finished with a delicate little picot. I’m totally in love with this colour combination. The grey acts like a neutral colour against a pop of blue green colours. It looks so fresh and colourful, yet not too bright and in your face. If a refreshing sea breeze had colours, I reckon they’d be like these. Of course you can’t go wrong with the classic granny stitch either. 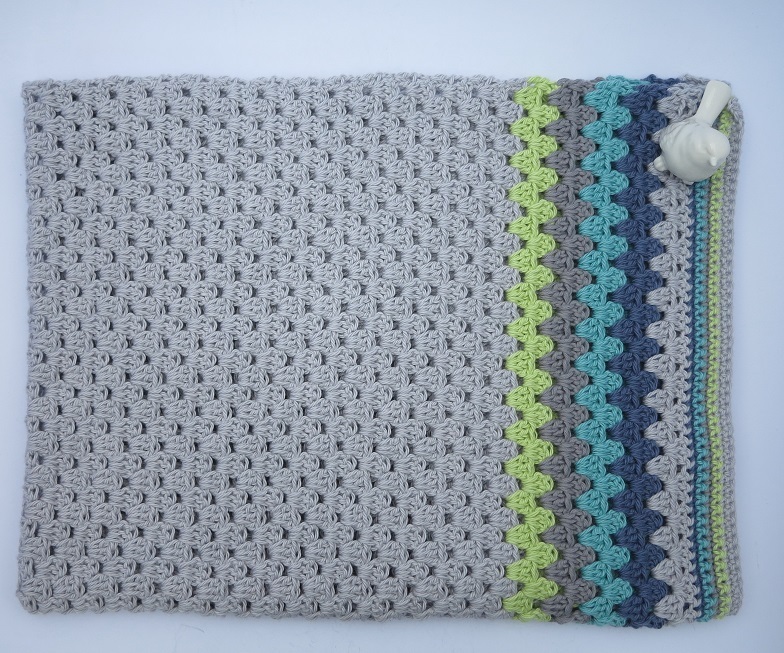 I love a basic stitch like this to show off the colours and stripes in this blanket. There’s a border at the top and the bottom of colours, plus at the top there’s a row of single crochet in each colour to finish it. Hope your days are filled with refreshing sea breezes, pretty peach blossoms and plenty of time to ponder your next crafty project. 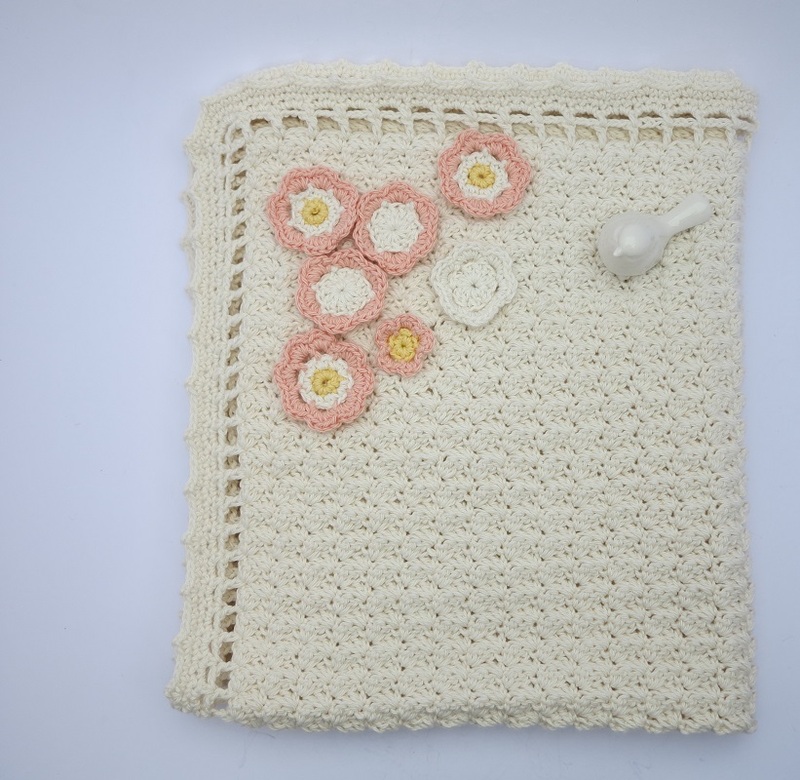 This entry was posted in craft, crochet, Uncategorized and tagged 100% cotton, babies blanket, baby blanket, blanket, blanket stitch, cotton, crochet, crochet flower, flower, flowers, granny stitch, single crochet stitch. Bookmark the permalink. 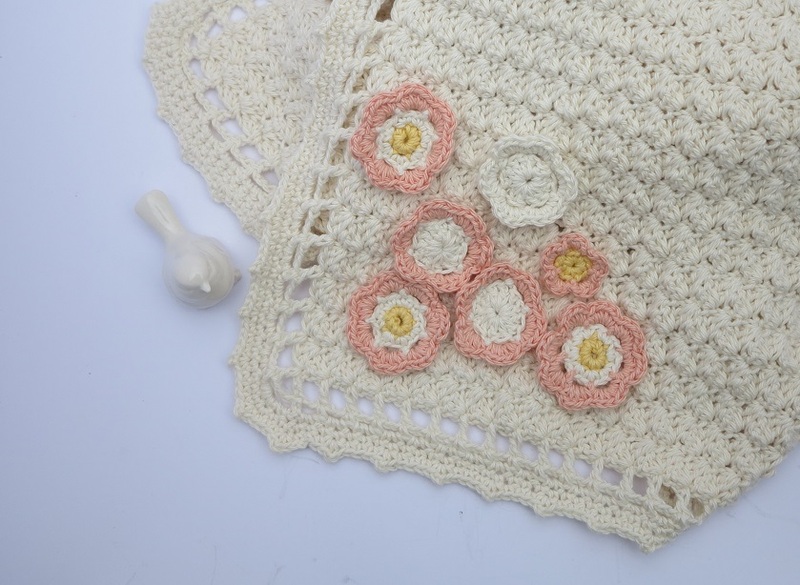 I like the stitch of your peach blossom blanket but love love LOVE the sea breeze one. The colours are superb.